The Kidney Stone Guidebook has all the links to the site, by topic and by chapters. Subscribe to my emails if you want to be informed about new articles going up on the site. I asked John Asplin to read this article for me because it is a bit novel. We both trust the equations, and neither of us believe this idea is well publicised or even previously published. New or not, it is potentially important because it says that the concentration time integral of anything we eat or drink that kidneys then remove varies with the inverse square of clearance. So even a small reduction of clearance, from Stage 0 to Stage 1 CKD, as an example, might really matter a lot. Experimentally, this requires measurements of concentration time integrals, which are not commonplace apart from drugs. Given higher risks of reduced GFR in kidney stone formers, and their increased risks for cardiovascular and bone disease, we have an even more urgent case for prevention and for every possible effort at tissue sparing at stone surgery. Likewise there seem in this multiple opportunities for fruitful research. 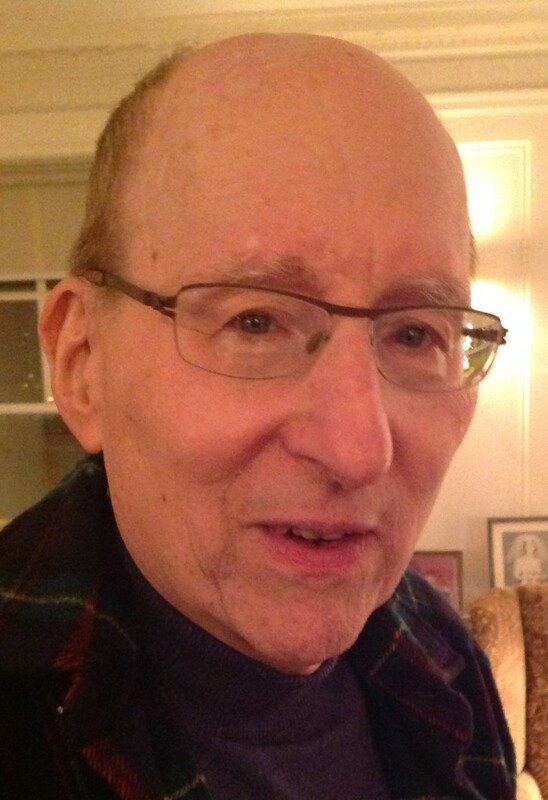 Although we rarely see each other, Marshall Stoller and I are good friends and have great respect for one another as scientists. We also have, right now, very different views about how plaque forms. My view, vas washdown, posits increased preloading of descending vasa recta from increased calcium delivery to thick ascending limbs driven by reduced proximal tubule reabsorption in stone formers with idiopathic hypercalciuria. This theory requires that plaque form on the ascending and not the descending thin loop, because the latter is a site for water reabsorption that would dilute interstitial calcium. We tested this, and the result is astounding; plaque more or less forms only on thin ascending limbs. Marshall’s theory eventuates, via complex crystallizations in medullary collecting ducts, in renal papillary interstitial cell transformation to osteoblast like cells that produce bone matrix proteins. The most critical test must therefore involve search for bone cell genes and bone matrix protein genes and gene products co-localizing with plaque in human tissue. Surely he will do something like this. Right now – though we do not compete – I am one up on him. But his theory is beautiful and may pan out. It would appear that stone forming is part of a manifold of disease that includes bone mineral loss with fractures, hypertension, kidney disease, and now we know also includes these very serious vascular diseases. I cannot make sense of all this except to assume that stone forming is a noisy and obvious marker of a group of people whose genetic makeup predisposes them to stone forming and bone and renal vascular diseases. 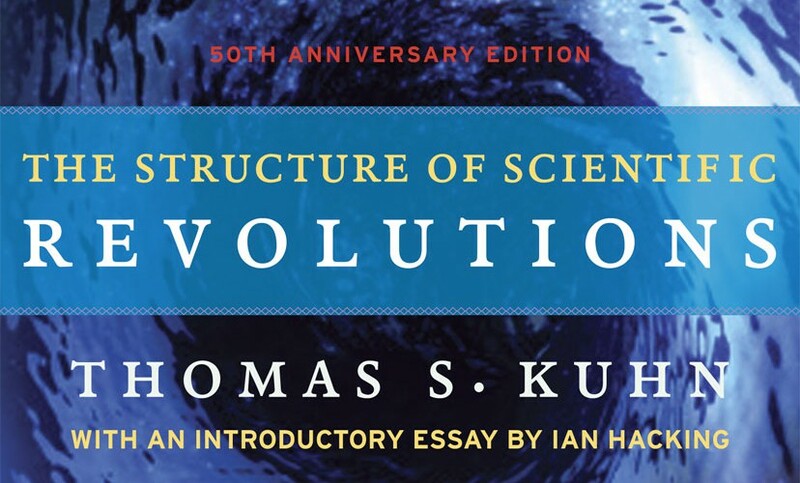 From an evolutionary standpoint such an assumption must – can only – mean that fitness once achieved in the past no longer holds in a new present, and of the factors that separate the past from present diet seems the most compelling suspect. I imagine this subset of people were fit for another kind of diet now lost to them, and suffer accordingly across a wide range of systemic disease. Whether that means the obvious kidney stone diet will prevent or reduce all of their problems is pure speculation. It does mean the research concerning kidney stone patients needs to widen remarkably, or we fail to contribute as we should. For patients I have emphasized the practical value of this new and important trial. For my scientific peers, it is the first definitive trial of the supersaturation hypothesis – that supersaturation really plays a causal role in stone genesis. For however sophisticated we may be in physical chemistry of solutions, the complexity of the urine environment could easily create such barriers to nucleation, growth and aggregation of stones that supersaturation howsoever necessary might have proven just that – necessary but not sufficient. This trial shows clearly that supersaturations are graded risk factors for new stone onset: Higher supersaturation, higher risk. The author, Megan Prochaska, is a rising young talent in the prolific and invaluable Curhan group, and the work seems, to me at least, mandarin. The science here is behind the curtains, so most of you will not be very interested. It is all outcomes from trials, but very important. The news is now well known: lower pressures save lives and prevent strokes. Of use to us, the very things we do for stone prevention we do to lower blood pressure. How fortunate for our patients. WHY EAT A LOW OXALATE DIET? DOES WATER PREVENT STONES – WHAT’S YOUR BET? Does Too Much Protein Increase Stones or Damage Bones? Here are all the trials for prevention of idiopathic calcium stones, and my personal approach to using their results in clinical stone prevention. The whole site thus far has been built to support this article, which is the capstone of the enterprise. To highlight its importance I have made it header type larger. Beside the usual references, I provide spreadsheets that contain all of the trial stone data with links to the original articles and PDF images of the articles. I also provide spreadsheets of stone risk data from the trials that I use in my analysis of the physiological responses to treatment. So this is a definitive as I can make it. I have left the two preceding videos in red because they are the steps up to this article, and perhaps people might want to view them in preparation. The two prior articles on phenotypes that come before the videos are also preparatory to this final presentation. I say final because with the full presentation of all of the trials we have more or less covered the entirety of idiopathic calcium stone disease and need to move on to other stone types and to the systemic diseases that cause stones. With considerable trepidation, I unfurl my first and certainly very unpolished video offering. The good part of the articles on this site is their devotion to scientific accuracy and referencing from PubMed. The bad parts are their opacity, length, and difficulty. I have long been a public lecturer and decided that video offerings might be a valuable add on. There is more room, I think I speak better than I write, and it seems to me one video can summarize and complement a group of written articles, so I did this one. It covers crystal formation, how crystals are made, and where in the niches and crevasses of the kidney they actually form. Its message is my usual one: Prevent crystals and you prevent stone disease. This is a beta version. I know it has some errors in it. I also know it lacks refinements I need. But, refinements and corrections will come. Let me know. Here is the most common kind of stone former, described in such detail as one can muster up at this time. They are simple to diagnose: Stones containing a preponderance of calcium oxalate, no uric acid, struvite, cystine, brushite, drugs, or rare organic materials, and exclusion of any systemic disease as a cause of stones. More or less, these patients are stone disease as it is seen in primary care and most urology practices. Of the millions of stone formers most are like this. The trials for prevention of calcium stones have mainly used these patients as a majority of subjects. However common they may be, and easy to define, they are complex in the way that they make stones, and it appears that there may be not one but perhaps two kinds of idiopathic calcium oxalate stone former. Because of modern flexible ureteroscopy the types of idiopathic calcium oxalate stone former will soon be told apart during stone removal surgery, and patients and their physicians confronted with a variety they may not fully expect. This article sums up what is known, as best as I can manage. IMCD and BD plugs: Do they have a role in stone formation? Between stone attacks, one can forget about the importance of prevention. So much water, pills, and nothing happens. This new post shows very new research done over the past decade or so, mainly by us, which shows that the tiny tubules of the kidneys can become plugged with calcium phosphate crystals. Fortunately kidney function appears to remain intact, but there is cell injury and inflammation. No one knows right now if stone prevention treatments will also prevent these plugs, but since the plugs form at the very ends of the renal tubules, where the final urine exits into the renal pelvis, one would think that whatever reduces crystal formation in the urine will reduce plugging. The second in this series of stone forming phenotypes, the calcium phosphate stone formers are less numerous than the calcium oxalate stone formers, but perhaps more worrisome, and certainly more complex. There are two types, those whose stones contain any brushite – an unusual form of calcium phosphate in stones, and those whose phosphate is only hydroxyapatite – the mineral found in bones. This latter group is to a large extent composed of young women, for reasons we do not know. Phosphate stones are likely than the calcium oxalate variety to be numerous, and often produce nephrocalcinosis, a mixture of small stones and tissue calcium deposits. Nephrocalcinosis, in turn, is often labelled medullary sponge kidney simply on radiological grounds, even when the distinctive lesions of MSK are not necessarily present. Likewise, phosphate stone patients can appear to have renal tubular acidosis because of nephrocalcinosis and because RTA and phosphate stone patients both produce a more alkaline urine than do normals, or patients with calcium oxalate stones. All in all, this is a complex form of calcium stones, challenging for clinicians and often very trying and concerning for patients with it. The article is long and difficult, so you might want to watch this video by way of an introduction. As I see things, all of stone disease concerns the balance between the opposing forces of supersaturation and kinetic retardation of crystallization. The former is better understood and more tractable because easily measured and commercially produced for clinical care. The latter is not fully understood in term of the molecules responsible and not commercially available as a clinical test. So of the two primary forces that control whether crystals can form, we have only supersaturation to use. Being so central, this one measurement, for each of the stone crystals, has unusual importance. These three relatively short videos cover the main elements of supersaturation: What it is, how kidneys produce it, and how it is measured and used in stone prevention. They combine with ‘How Stones Form’ to make what I think is a fine story about stone disease and a fine basis for understanding how stones are best prevented. I have gathered together in the article links to all of the supersaturation articles on the site thus far. This is an article that can be written only by the readers of this site. We are not product testers nor do we do market surveys. But given how many fluid and diet apps one can find on the web and also given how many people come to this site every month we should be able to get a good idea about which ones seem of value. The benefit of accumulating your experience in comments to this very brief article accrues to all of you who come here. Whether you use an app or not crowd sourcing of a kind can tell us all which ones seem really good, and we can all use that knowledge. There are almost no words in the article, but as the results come in – in other words if you will share – we will count up by app in a table or so, ongoing. As for smart bottles, there are only a few on the market, but we should be able to get an idea about them if you will share. So, here it is: A blank slate for everyone to write on so everyone can benefit. Please share. 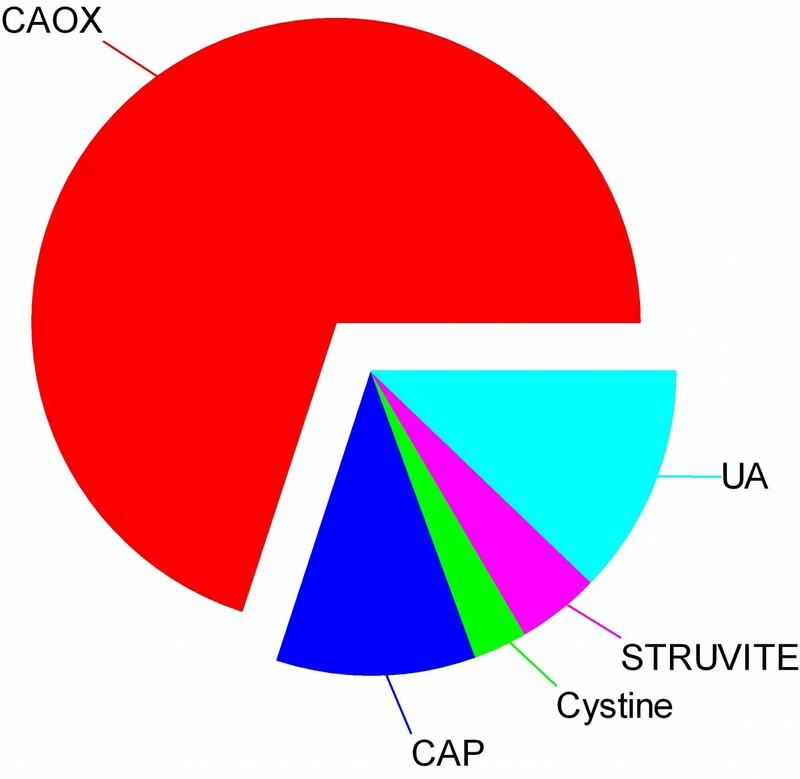 There is no doubt that urine oxalate excretion is an important factor in calcium oxalate kidney stone production, and that excretion is a very complex outcome of transport in the gut and kidney tubules and, of course, diet calcium intake. We have devoted a lot of energy to refining food oxalate lists and making a reasonable diet plan for oxalate. Here, we have taken on the harder task of reviewing the complex movements of oxalate from food into urine. The intestines not only absorb oxalate from food into the blood, they can secrete oxalate back out from blood into the gut lumen from which it is removed in the stool. The kidneys remove the net of diet oxalate absorbed minus that secreted by a process of filtration and subsequent renal cell reabsorption and secretion of that filtered oxalate. It is as though evolution has handled oxalate like a real hot potato: keep control of how much oxalate the kidneys need to remove and keep control of the blood oxalate concentration. This seems prudent – if one dares to speak this way about evolution – as oxalate can crystallize in blood as it does in urine and both processes can be dangerous. The new work on oxalate transport does not now directly translate into new tests or treatments for patients, but surely will. So I and my brilliant colleague Dr Hatim Hassan – who is the real expert here – have written about the future in medicine. Because the article is very complex and may not get a lot of readers – scared off – I have made a tiny movie to introduce it by way of encouragement. This little goodie started with my partner Dr Anna Zisman who to wanted us to have a simpler format for patients to follow in looking at their 24 hour urine lab reports. Answer five easy questions and get back a list of what you have to do with fluids and diet. Try it. Let me know if it works. If not, can you help make it better? Well, here it is, the last pillar in the foundation. My goal is to enable patients to achieve successful stone prevention and I believe this requires a partnership with their physicians, a partnership in which they play a very active individual role. Patients after all are the ones who can manage diet, fluid intake, and life demands, only they can assure that 24 hour urine collections are representative of normal life, and, frankly, only they can decide on a life of long term prevention. Stones being rarely fatal and usually not a cause of progressive kidney disease, patients can elect prevention or not, and their physicians are in a role more like attorneys and accountants than authoritarian directors of events. But as in Eden, one can expect proper choices only if one has provided full knowledge, which I have set out to accomplish. By proper I mean most suitable to patients given full knowledge, for some may not care to exercise themselves so much as I think they must to be successful, whereas others may consider the work of prevention slight indeed compared to the consequences of continued stones. In any event, this article is the end of that cycle of enablement I can manage, and I put it here, as in all writings, as the chef puts out her best effort – to face the indifferent judgement of the gourmet. Dr. Mike Borofsky authored a favorite article on this site – Pain from Kidney Stones. Now, he has authored our first article on stone urology, meaning the urological surgeries used for treatment of stones in the kidneys and urinary tract. Ureteroscopy is fast becoming the preferred approach, outstripping shock wave lithotripsy and percutaneous lithotripsy. This is because the instruments for ureteroscopy offer superior optics and are flexible and small enough to get from the urethra up into the kidneys and into all of the crevices of the kidneys where stones form and lodge. Armed with tiny but powerful laser fibers, the new ureteroscopes permit surgeons to fracture stones in the kidneys and turn them into mostly harmless dust that passes silently for days or weeks thereafter, or into small fragments they take out during the procedure leaving not a speck behind. It is a brilliant time to be a young urologist and use these marvelous instruments to do what would otherwise require a far more complex and risky procedure (percutaneous nephrolithotomy) or depend upon an indirect and often incompletely effective one (shock wave lithotripsy). These two articles cover the main stone types, and this new one on uric acid parallels the prior one on calcium stones. Like the calcium stone article it is meant for patients, although physicians might like some of the nuances. The purpose is not to make patients into their own physicians but to enable them to understand their own stone forming abnormalities. My ruling hypothesis is that patients want prevention, and will embrace and implement the changes needed with more enthusiasm and endurance if they fully understand the goals. LIkewise if they can themselves follow the effects of their efforts on stone risk factors they will believe that what they are doing has real meaning. I know that hypotheses are for disproving, and I know someone may well do a prospective double blind randomized trial, some day, to test mine. Right now, I believe in the idea because of Eden whose resident twosome were not just told about the tree but exactly why they should not eat of its fruit. I know it is an unfortunate comparison, given the outcome, but much effort was expended on education. My source for the details, apart from the Hebrew Bible, is Milton, J: Paradise Lost; Books V – Viii. This site is meant to promote prevention and my current hypothesis is that enabling patients to read their own 24 hour urine tests with a professional eye will help achieve that aim. It is not an easy task. Lab reports, even the best of them, are dazzling arrays of numbers in often mysterious units. Even physicians have some work to do. But numbers are numbers and people can read them if they have the code. Here I have parsed out the main numbers for the calcium stones: Volume, calcium, oxalate, sodium, citrate and pH. Because this is the first article on reading this kind of report I also discuss collection quality, conversion of units – some labs report, as an example, calcium in mg/24 hour, others in mmol/24 hour, even mEq. So I introduce the simple conversions needed to use what I have written for a report with different units. 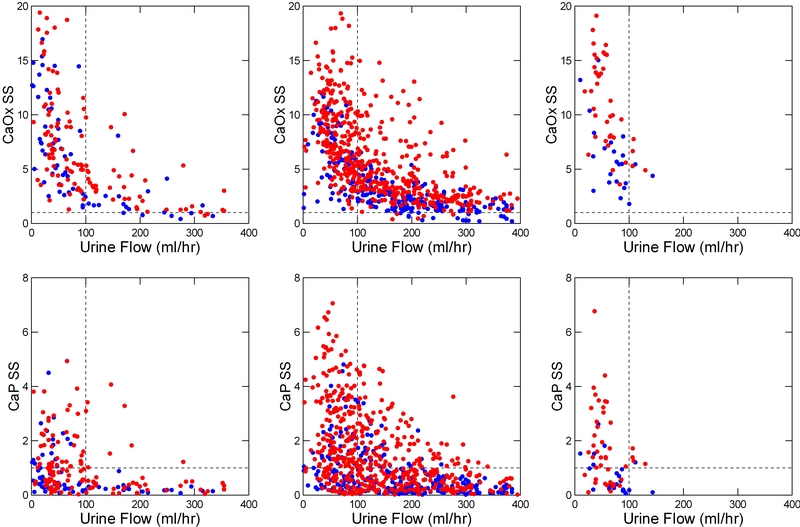 Likewise I introduce how urine creatinine can be used to estimate collection quality. The supersaturation come at the end, as they should, being the final summary of everything. The tone is about that for trainees in nephrology or urology I have often worked with but with jargon elided and a focus on lab results per se. Those interested can follow the links into the thickets of the site which hold enough to satisfy most appetites. The main purpose is to enable patients to cast a cold eye on their own problems and on the results of treatment efforts so that in the event saturations can be effectively reduced and stone recurrence with them. The thiazide type diuretics are able to reduce new stone formation and are an important part of stone prevention regimens. Here is all about these drugs: The trials that show they work; How they work; What they do for bone: Certain precautions in their use. To give a pill to someone is to throw a seed on unprepared ground – it is a sterile and doomed enterprise. All the features of prevention from diet and fluids and lifestyle come first, so that what one can do with them is being done. Then the drug will be most useful. And, you will know by the fall in urine supersaturation achieved. Whatever it was when stones were forming is too high, and real treatment means it has been reduced. After all that can be done without thiazide has been done, there will no doubt be residual supersaturation lowering needed, or one would not use the drug. The marginal benefit of the pill can be assessed by the extra fall in supersaturation it produces. Which supersaturations? Those related to crystals in the stones forming. Ultimately we want to prevent kidney stones. Trial data, and my own large experience correspond in this one point: Prevention is a reasonable objective that can be successfully accomplished. Here is my own approach, simplified into five steps. They correspond to the overarching theme of this entire site: Stones require crystals; crystals follow the laws of physics; the force that drives crystallization is supersaturation; commercial vendors in the US provide supersaturation measurements in 24 hour urines at a reasonable price. So the steps are indeed simple: Know the stone crystals; measure the urine supersaturations; lower those urine supersaturations for the crystals in the stones being formed; keep them low. If stones persist, lower them more. It takes physicians to initiate this process, and there are complications such as the occasional systemic diseases which must be detected and treated in special ways. But it takes motivated patients to carry out the long term changes in fluids, diet, lifestyle needed, and to take the medications provided. It is time to focus here: Prevention is better than surgery. To help, I wrote a companion article several months ago about how to organize your medical stone prevention visits so as to get the most out of them. As part of a series, Jill offers this long and critical article on restricting diet oxalate. The problem is very complicated because oxalate is in a lot of plant foods and these are foods we need and often like. Using the Harvard oxalate list with cross referencing with another list from an excellent academic institution, Jill finds her way between the problems of too much oxalate and too little to eat. She offers a whole day meal plan outline people can fill in with their own preferences. Some key scientific papers are reviewed at the end to show the basis for her advice. Jill Harris offers another of her amazingly useful and popular articles, this one on the how of low sodium diets. As she has done for fluids, Jill takes you into her own kitchen and dining room and shows you how to limit salt intake and yet fully enjoy your meals. She has had years of experience coaching patients about exactly this kind of crucial life management, and it shows. Her articles are the most popular on this site, and this one is destined to join her others in helping thousands of people actually do what their physicians ask them to do: Eat less salt to stop making stones. Two good trials support lower sodium diets as a way of reducing new calcium stone formation and of protecting bones from calcium loss. The physiology behind these trials is detailed in the articles on idiopathic hypercalciuria and salt. In Italy at least, and in men with calcium stones and idiopathic hypercalciuria, a diet low in sodium, moderate in protein, and high in calcium leads to less stones than low calcium diet alone, and in fact to a rather low new stone recurrence rate. Among postmenopausal women, a high calcium low sodium diet brings bone mineral balance into the positive range: Bones add mineral. Neither trial is comprehensive in covering men and women, young and old, US vs. Italian cuisine, but they are the only ones we have of this quality, they are consistent with the science we have, and convincing. To me they are enough to recommend low sodium diet, moderation of diet protein, and high diet calcium for calcium stone formers with idiopathic hypercalciuria, recommend this kind of diet without reservation pending what I hope will be more trials which cover a wider range of patients and of ages. It is this kind of additional trial we really need in the US right now, substantial, bearing on really important diet interventions, and arising out of a sound scientific base. Idiopathic hypercalciuria may well be the most complex and important issue in all of medical management of calcium kidney stones. It arises within the elaborate systems that regulate calcium metabolism and produces both a risk of stone formation and of bone disease with fractures. IH is strongly familial, almost certainly genetic in origin, and present in children as well as adults. Treatments used include high calcium – moderate protein – reduced sodium diet, moderation of dietary sugar loads, and potassium citrate, and thiazide type diuretics, each of which act through different and reasonably well characterized pathways which cannot be understood without a knowledge of how IH works in the first place. Unlike stones themselves, supersaturation, or citrate, each a very large and important topic, IH cannot be presented well – at least by me – in separated linked articles but only in one article that carries its many intersecting physiologies along side by side and uninterrupted. Being a long and comprehensive article, foundational for this site and – to me at least – for comprehension of the whole topic of pathogenesis and treatment of nephrolithiasis, this article is not necessarily meant to be read all at once but rather used as a resource. I will cover the treatments of IH later on, in separate articles. This is a foundational article for the site. 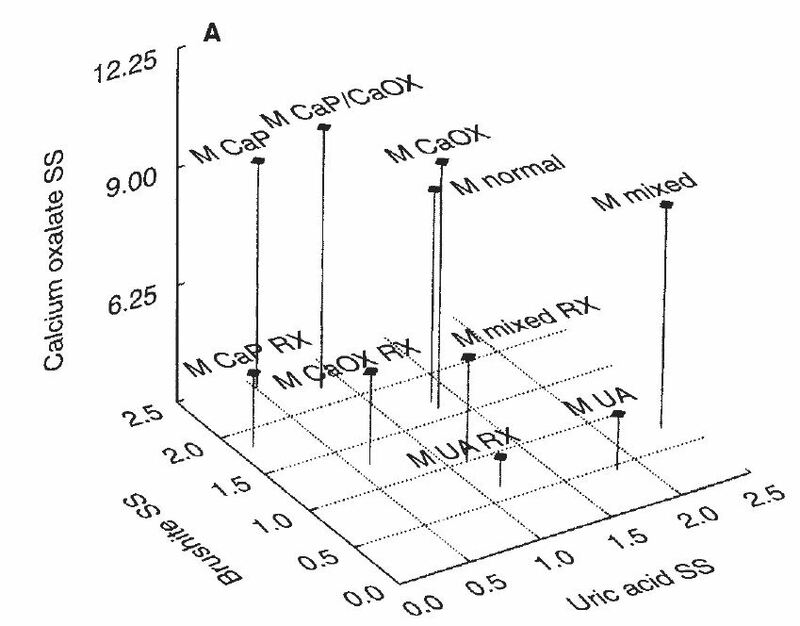 High rates of urine calcium excretion (hypercalciuria) will raise calcium concentration at any given urine flow rate, and therefore raise supersaturation with the calcium stone forming salts. Genetic (‘idiopathic’) hypercalciuria, simply the upper end of the normal range, is greatly over-represented among stone formers, and idiopathic hypercalciuria (IH) is a main focus of treatment for stone prevention. As well, people with IH, stone formers or not, are at risk for bone disease. This article introduces hypercalciuria: IH itself and a few of the less uncommon named diseases that cause hypercalciuria like primary hyperparathyroidism, renal tubular acidosis, and sarcoidosis. It mentions confusing disorders such as normocalcemic primary hyperparathyroidism, secondary hyperparathyroidism, and familial hypocalciuric hypercalcemia. It also offers evidence linking specific levels of urine calcium excretion to risk of stones, a very important matter in deciding what needs to be treated. Being so important, the very force that drives crystal and stone formation, supersaturation has enjoyed considerable attention on this site and it seemed time to gather the articles about it into a coherent narrative. The walking tour seems apropos as such tours visit a group of related sites and have, or should have, a guide to put each one into perspective and extract from the entire group some large and generous idea about the world from which they arose. My prior one on stones themselves attempted the same. Not a few of you have heard this word and wondered what it meant for your health and management. Here is what it means. On the one hand, crystal deposits in kidney tissue. On the other, the name radiologists use when they see calcified regions overlying your kidneys, regions that are not clearly free stones but could be stones or tissue mineral. They really cannot tell with great precision. They never could. Modern high resolution ureteroscopy can tell, and surgeons everywhere have adopted this wonderful technology into common practice. You need to know this. Those of you who carry the diagnosis of nephrocalcinosis will all benefit from modern surgical visualization as opposed to indirect means of radiology. If you want a comprehensive view of what kidney stones are and how they are made, I have put together various of the articles in this by now rather large site to make up a kind of story, or narrative, or, as I like to think of it, a walking tour. Read in the order I suggest, and take a look at the few narrator comments and I promise a nice overview of the topic. More will come if people seem to like this format. Many people have multiple calcification in their kidneys and urinary tracts which show up on CT scans and are labelled ‘nephrocalcinosis’. When they look like multiple small calcifications massed together radiologists often label the disorder as MSK. Old fashioned x-rays with contrast agents were actually more discriminating for the diagnosis but have passed into disuse. Contrast CT can also help make the diagnosis but is rarely used to diagnose stones. Modern high resolution endoscopy has, fortunately, taken over as the main new way to manage stones and with such instruments surgeons can confidently diagnose MSK. Because new, the change in the way we diagnose MSK will inevitably change what people are told is the cause of their stones. MSK has special features which complicate treatment. A large majority of people presently labelled as having MSK probably do not have it but rather have one or another more common stone forming disease. The message is simple: We need to separate out who has what and provide exacting and reliable treatment using the most modern techniques. Why Do Kidney Stones Cause Pain? Dr Michael Borofsky is a young and brilliant surgeon specially trained in kidney stone management who offers us the article any patient or family member or friend will want to devour. Stone pain is awful and arises from complex abnormalities that are important to know about. He makes clear how much inflammation occurs, why a lessening of pain might not signal betterment of obstruction but only a fall in blood flow to the kidney. Most importantly he writes about the possibility that stones which do not obstruct might still cause enough pain to disable people, interfere with life, and lead to drug dependence. This controversial area of kidney stone surgery requires new studies, but before they are done patients and physicians need to know about the possibility that chronic pain in a stone former may be coming from an innocent appearing stone we have up till now dismissed. So many times I have been misled and my patients also because of misunderstandings about what 24 hour urine collections can tell us. They are single frames out of a movie that runs lifelong so it is imperative people collect as they were when they made stones or as they are pursuing their stone prevention treatments. The concept is easy and easy to ignore, put aside, forget about. Jill’s offering is not only useful for the first time collector, but every time – as a reminder. Dr. David Goldfarb has taken on the American College of Physicians concerning the flawed guidelines they have promulgated for prevention of kidney stones. I have criticised these guidelines – for fluids and medication use – in two prior articles. My criticisms were about their intellectual failings and naivete concerning medical practice. His are broader because in addition to their intellectual and medical flaws they were published against the advice he gave as a peer reviewer of the articles. Furthermore, as he points out, they do not properly acknowledge the guidelines of the American Urological Association, which represents the main body of physicians who actually take care of stone patients. The AUA guidelines contradict those of the ACP and, in my opinion, and his, properly so. This matters to you as patients. If your doctor has been told something is good and proper, by physicians promoted as experts by the ACP, he or she may act accordingly, and that may not be good for your care. Read what Dr. Goldfarb says, and likewise what I have said about this matter. Get ready. We have covered stones, supersaturation, stone risk, potassium citrate, and more, but now we are coming to a central mystery – a pivotal issue in whether or not treatment will work or not. Calcium is the first name of most kidney stones, and the calcium in stones comes mainly from the urine. So the urine calcium is a big deal. Yet it is sodium chloride, humble table salt, that strongly controls how much calcium is in the urine. Genes play a role, protein, too, lots of factors. But salt intake is so modifiable, so amenable to change it has a massive role in treatment. Here is my best on the subject. I hope you like it. This is the essential basis for modern kidney stone prevention. I review its limitations, and how much information it provides on the pattern of stone risk factors for a given patient. Also, I show how much variation within a day hides in the 24 hour averaging and what you should do about it, and point out why you need at least two 24 hour urines before treatment. If you have signed up for my emails, read the one for this article because it explains how it is put together and best read. A very useful introduction by Dr Anna Zisman. In general the articles on this site are a bit more detailed and referenced than this one, but the disease is very complex and we thought a fairly simple and brief introduction would be ideal for patients and their families. I have no illusions this will have mass appeal, but the topic is important and many patients may have an interest in how medicine and science work together in general and in this disease as a particular example. Unlike the rest of this site where I am redacting and elaborating well known themes, here I am forced into originality by the general poverty of writing on the subject. For those who like this kind of writing, the Site Logic Page is its natural home. For those who do not – no doubt a vast majority – pass by. This article will take you for a ride and offer you some surprises. But don’t be scared off. The ULM is a powerful concept that will help you understand the real issues in stone prevention. And, at the end of the article, you will find that quite possibly it is not the mysterious and giant collection of urine proteins which protect us against crystals but perhaps our familiar citrate molecule in league with another small molecule, inorganic pyrophosphate which is a close relative of the bone sparing and common bisphosphonate drugs. It seems to me important to highlight not only what we can do for stone prevention, but here and there to recognize those people who have given us what we have. 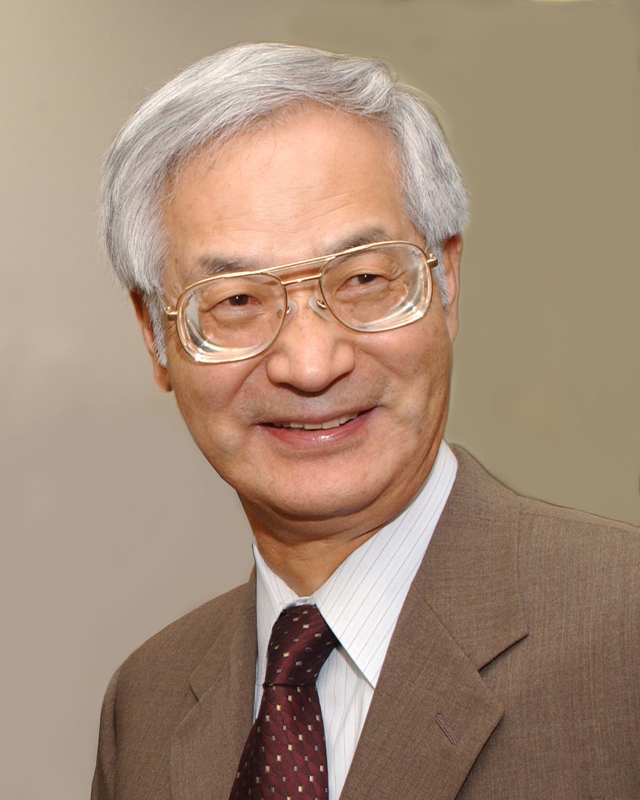 Charles Pak’s work was instrumental in getting potassium citrate into the real world as a treatment. He helped to establish it worked, and helped industry make a practical pill form of it. As my tribute to him I have reviewed some his most important papers on the subject. Anyone who uses the drug should care. This article is long and complex but I think patients will want to trouble themselves to read it. It tells the story of how our diet in the US, Europe, and urban Asia imposes an acid load which the kidneys must remove. That demand forces them to conserve citrate which is a natural defense against kidney stones. The pills neutralize the diet acid, and release the kidneys from their lifelong task of compensating for how we eat. That is why the urine citrate can rise. Removing acid is a major task that affects how kidney cells work. The humble potassium citrate pills have massive and probably beneficial effects on those cells. Of course, diet could the same as the pills, but how can one pursue a diet against the tendencies of the culture? Even with a will, most of us could not get it right – the balance of food, a proper nutrition. I could not advise we try. Here is part two: citrate slows and can even stop stone crystals from growing. It does this by binding calcium, not the calcium in the urine but calcium atoms already part of a calcium stone crystal. By binding to structural calcium atoms, citrate interferes with the orderly arrangement of atoms that is necessary for the crystal to exist, so one can think of inhibition and binding as two aspects of one power. Like binding itself, this is not easy material to present or read. It is like climbing a tall hill for the view. If you will follow me up, I promise a reward. Potassium citrate, thiazide diuretic agents, and allopurinol are the three medications that have a proven ability to reduce kidney stone formation. Because fluids are so valuable and safe, we have emphasized their use as a basic treatment for all forms of stone disease. Here, I present the evidence that potassium citrate adds protection. The evidence is in the form of 5 trials that appear well done. Some of the background for this article was already prevented in our discussion of the costs of this drug. Likewise, that discussion presented alternative sources of alkali that should more or less mimic the protective effects of the drug despite lack of direct trial data. I say this because the drug is a simple alkaline salt. The article is written for anyone. Physicians will fill in more blanks than patients, but patients can easily analyse the numbers. How does anyone really know the amount of fluids you need for stone prevention? Dr. Elaine Worcester and I have put together much of what is known about the topic and offer some reasonable guidelines. Our caveat: These are guidelines, but have your physician do the final decision. Not everyone can drink large amounts of fluids, and not every patient needs the maximum amount, either. Well and good to say, ‘Drink 3 liters of water a day to prevent kidney stones’, and go on to something else. It is another to accomplish that feat. Don’t some drinks raise stone risk – like coffee and tea? What about Coke, diet drinks, beer and wine? Is anyone supposed to make do on all water? Here is a post by Jill Harris that offers answers and even daily menus of beverages. As things turn out, there are a lot of choices, a lot of ways to get in all that fluid, every day. I never have been a remarkable shopper, so those who know me well might wonder at a post about prices. Even so, patients have complained and wanted alternatives to potassium citrate pills which have become too costly for them. I did a bit of web shopping for retail prices, and although they vary, even the lowest seem too high for most budgets. A very brief look at insurance plans under Medicare: Some plans just pay the whole bill; some charge $10.00 for 100 pills; some charge a percentage of retail; some do not pay. So I have put together alternatives which taken in aggregate permit everyone to piece together a replacement for all or at least some fraction of these pills whose price has become just too high. The Web abounds in lore about kidney stones, perhaps because stones are common, and perhaps because they are painful and people want remedies. This particular remedy caught the eye of Dr. Anna Zisman because one of her patients read about it, tried it, and seemed to get worse instead of better. She did some research on the matter and decided it was worth while to let patients know that the treatment is not ideal and possibly can do a modest amount of harm. Her charming and useful message is typical of her critical and thoughtful analysis of medicine, and especially this tiny but active area of stone prevention. One might think nothing is easier than drinking water; my experience is that nothing is a lot harder, as least for a large fraction of patients. The new post by Jill Harris is all about how. Jill spent 12 years at Litholink corporation, now a subsidiary of LabCorp, supervising their team of telephone patient care representatives. Her team, and she herself, dealt with thousands of patients, and how to drink enough water was always a large issue. As practice will do, she has gradually built up her bag of tricks for patients, and shares some of them here, with you. Now in her own practice, Jill continues to help people prevent stones by showing them how to actually accomplish what their doctors urge them to do. CAN PAPILLARY DENSITY PREDICT NEW STONES? KIDNEY STONE ANALYSIS: How Bad is It? When I wrote the original article in 2014 limitations of proteomics seemed the main obstacle. This new work by Dr Frank Witzmann shows us the other side of the problem. A master of the modern proteomic techniques, with them Frank shows that the number of unique proteins in just two human calcium oxalate kidney stones is over 1,000. If inadequacy of technique stymied us two years ago, inadequacy of intellect – at least of mine – stymies at least me, now. What to make of so many proteins! What are they doing there? Which ones matter in stone genesis? We have the methods, we have stones to work on, but what shall we ask? As always, the magic is in the vision.